Brrr, winter has arrived with a vengeance in southern Australia and the change in weather has seen an increase in cold and flu viruses. Colds and flus spread more easily in the cold winter months because they thrive in colder, less humid environments. Winter infections can spread rapidly in both indoor offices and schools as well as outdoor work environments, resulting in lost productivity and lost opportunities. While it can be hard to avoid catching a bug at this time of year, it’s worth sharing the following tips to remind us all of proper etiquette in the workplace. Practising good cough and sneeze etiquette – covering the mouth and nose when sneezing or coughing – reduces the likelihood of cold and flu viruses becoming airborne and/or contaminating surfaces and other objects in the work environment. However, when the hands are used to cover the mouth, they become contaminated. 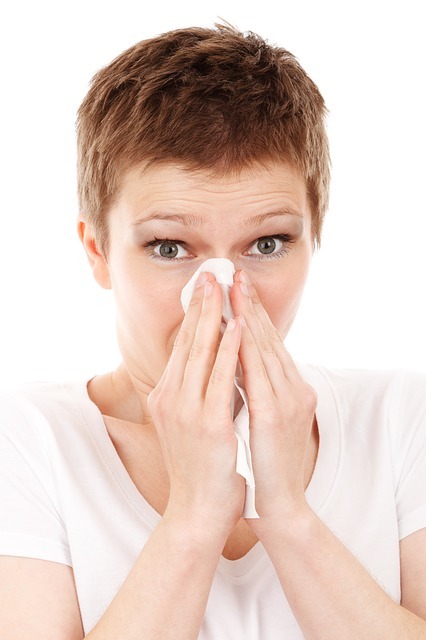 Use a tissue to cover your mouth and nose if you cough or sneeze and encourage your workmates to do the same. The tissue should be disposed of and the hands washed immediately afterwards. If no tissue is available, cough into the sleeve at the inner elbow. Make sure you have a bin for tissue disposal. Ask your boss to place signs around the workplace to remind people to practise good cough etiquette. After shaking hands with someone known or suspected to be infected. Cold and flu viruses can survive on hard surfaces for up to eight hours and on a person’s hands for approximately five minutes after they touch a contaminated surface such as a hand or desktop. From there they can cause infection if the person touches their mouth or eyes. You can therefore reduce your risk of infection by avoiding touching your face, or washing your hands before you do so. Clean surfaces in their work environment, for example wipe the desk and keyboard. Facilities can prepare for the heightened risk of illness during winter by considering more frequent and thorough cleaning of common areas or assigning a day cleaner (see Danihers Day Green Clean) to conduct regular disinfecting across the day. High-touch surfaces such as door knobs, handrails, elevator buttons, desks and countertops should be disinfected regularly or when visibly soiled. It’s also important to ensure hygiene supplies or consumables are well stocked. When staff, students or clients visit a restroom without soap or paper towels, they can be forced to forgo their hygiene habits. Make sure your site has additional supplies of personal protective equipment (PPE), disinfectants, hand hygiene products, facial tissue, toilet tissue, trash bags and cleaning cloths and tools. This will encourage ongoing cold and flu prevention. Further resources: The European Cleaning Journal, Top Tips For Cold and Flu Prevention.